This post contains affiliate links. Thanks for supporting Pitter & Glink! Hey, y'all! A couple of weeks ago, I shared a fun collaboration that I worked on with Jennifer Hayes Yates. 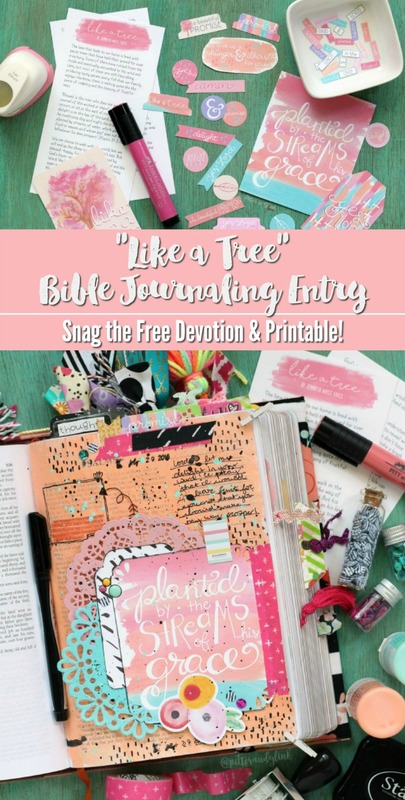 Jennifer wrote an awesome FREE devotion for y'all entitled "Like a Tree," and I designed some fun printable Bible journaling goodies to go along with it. 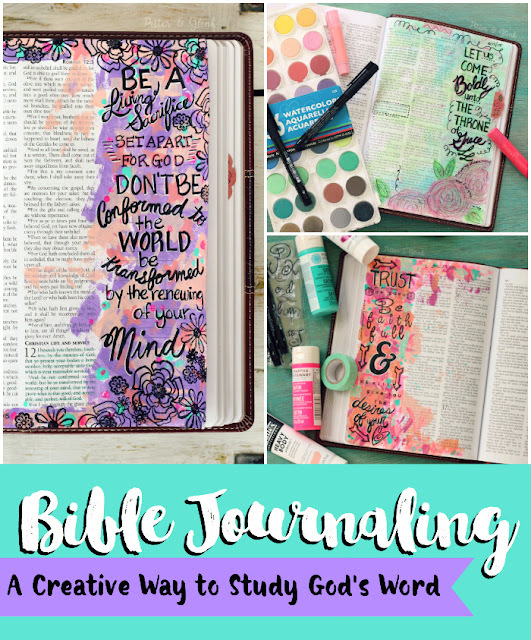 Well, I couldn't let y'all have all the fun with the devotion and printable, so I recently created an entry in my journaling Bible using the freebies we shared with y'all. 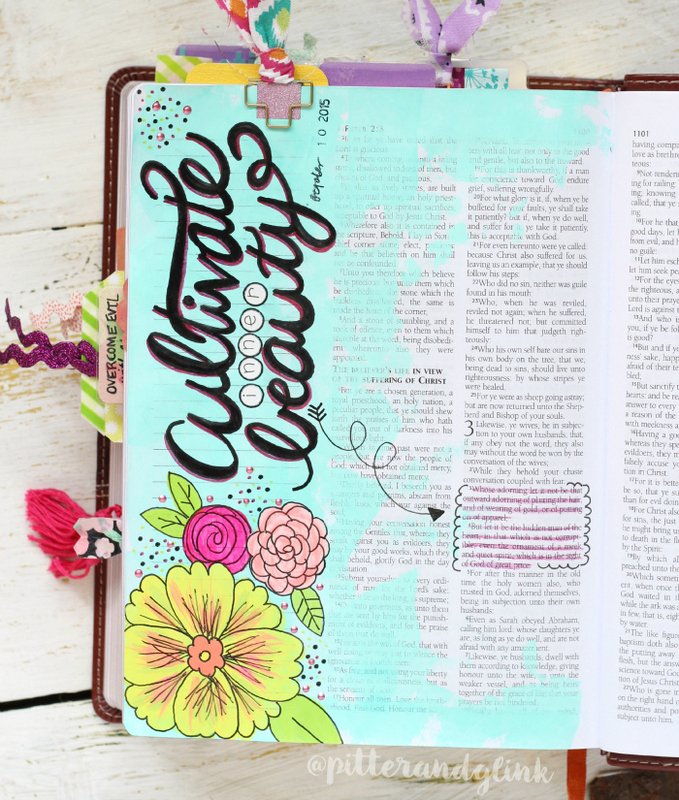 Today I want to show you the finished page in hopes of inspiring you to create an new entry in your journaling Bible. 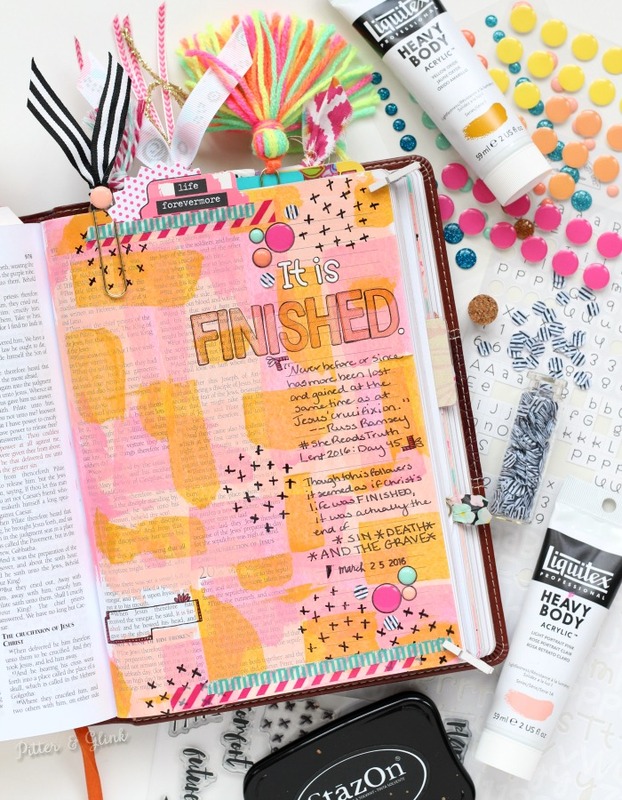 First of all I should note that if you want to grab the devotion and Bible journaling goodies, check out THIS POST for more info. 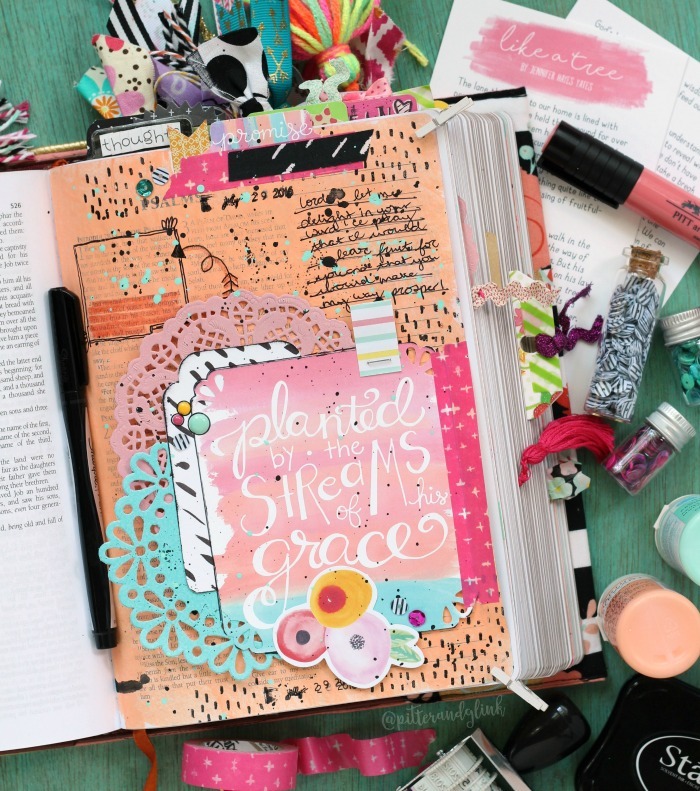 Once you download the printables, print them on card stock and get ready to dig in! 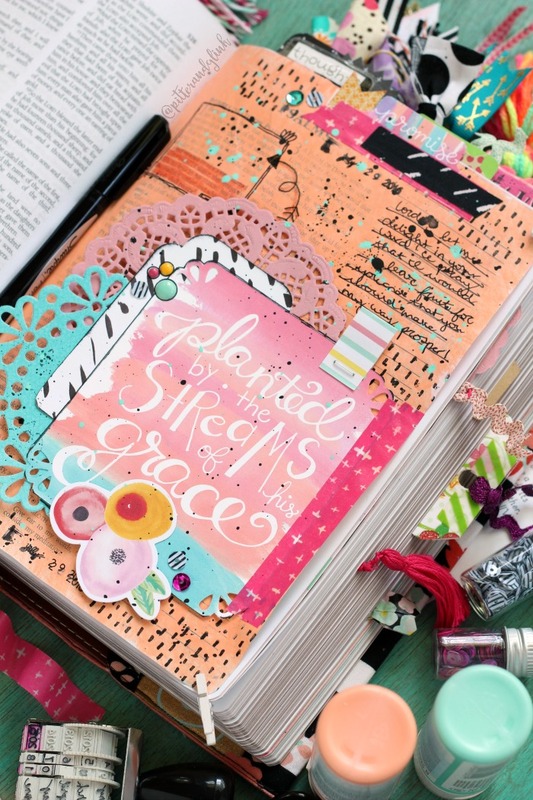 After reading the devotion, I knew I wanted to use the large journaling card from the printable journaling goodies, and I decided to layer the card with a couple of doilies and some scrapbook paper. 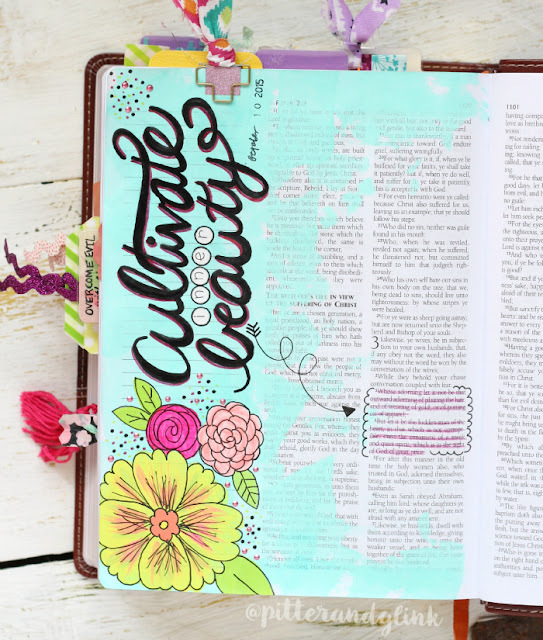 Once I had a plan, I hopped onto Periscope to illustrate my page. You can watch the replay HERE.